• Potato - 4 numbers. Boil diced potatoes, till they are cooked soft. 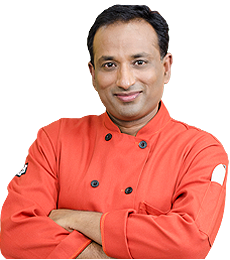 Heat oil, add red chili add mustard when it splutters, add channa dal, urad dal, cashew, chopped ginger and fry till reddish in color. Add the onions and green chilies, curry leaves and fry till onions are cooked. Add turmeric, and fry for 1/2 a min. Pour over the potatoes, add the salt, and lemon juice, and coriander leaves. if needed add some water. Potato masala is one of the best side dish served with dosa as stuffing and served with chutney. The term "potato" might refer to the plant on its own as well as to the edible tuber. Potatoes were announced outside of the Andes area around 4 hundreds of years ago, and also have since turn out to be a fundamental element of a lot of the world's food. It's the world's fourth-largest food crop, right after maize, wheat, and rice. Nevertheless, any local significance of the potato is diverse and changing fast. It contin... Read More.. Nevertheless, any local significance of the potato is diverse and changing fast. It continues to be an important crop in Europe specifically eastern and central Europe, however the swiftest growth in the last few years has taken place in southern and eastern Asia. At the time of 2007 China led the entire world in potato production, and almost 1 / 3 of the world's potatoes were farmed in India and china. Potatoes are prepared in lots of ways: skin-on or peeled, full or slice, with spices or without, baked or boiled or steamed or roasted. potato recipes are offered hot, however, many are initial cooked, then offered cold, especially potato salad and potato chips. Potato is definitely a remarkably nutritious low-calorie, high fiber food that provides substantial defense towards coronary disease and cancer. Our food ranking program certified potatoes as an excellent way to obtain vitamin B6 and an excellent source of potassium, copper, vitamin C, manganese, phosphorus, niacin, fibers, and pantothenic acid. Potatoes also incorporate many different phytonutrients which have anti-oxidant activity. The world's preferred root veggie, the potato, keep in the cool, dark, well-ventilated place as, if encountered with light, they will sprout green limbs. They must be stored in paper, instead of plastic bags, because the last mentioned can make them go moldy. Stored in this way, old potatoes may last many days, even though new potatoes should continue for 3-4 days. Sanjay, I cooked the Channa Dal but it was very hard even after frying. Should it be soaked along with the Urad Dal for a few hours? Please let me know. Thanks. This man is what happiness is all about...doing what you love with passion and a desire to share with others! Its all about "Yinspiring otherrs tto kuk!!" i have soaked chana daal for about 2 min just before adding to oil ,it makes it a bit soft ..
Little bit is not a measurement. Everything is little bit. You have to be specific for those who cannot cook or cannot judge appropriately. awesome it is...my Mom tried your recipe today and it tasted just like the one in our favourite restaurant... we were trying to make masala exactly this way for a long time but no success...and you showed us the secret here...hats off! !